Valencia is one of the largest cities in Spain and the capital of the province of Valencia. The city is located on the shores of the Mediterranean Sea, on the Levantine coast in the center of the Gulf of Valencia. Valencia is the embodiment of passion and tradition. In recent years, Valencia has become one of the most dynamic and popular destinations. 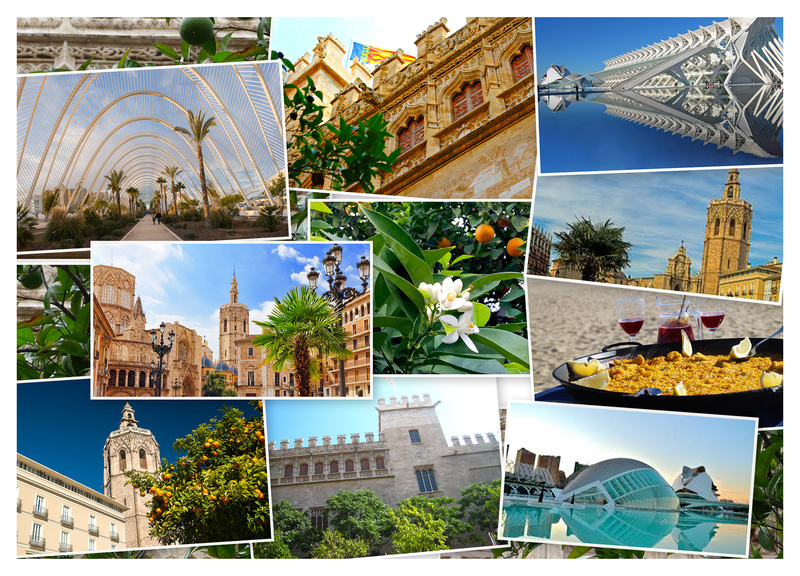 Valencia is a city with the most attractive and suitable activities for all types of visitors. It is a city of surprising contrasts. Valencia is traditional and modern at the same time, full of cultural wealth and innovative. The rich historical heritage of Valencia is reflected in the monuments that recall fateful moments in this city. Most places of interest are located in the city center. The Roman ruins, on which stands the historic center, testify to the ancient foundations of the city. At every step you can feel the legacy of the Moors and the Christian kings. The city also played an important role in the area of ​​trade, the Silk Market, where silk was marketed, is on the UNESCO World Heritage List and recalls the golden age of Valencia's prosperity. Very interesting is also the cathedral of Valencia, a site that probably conserves the Holy Grail. Valencia also has a modern and contemporary face. An opposite to the historic center is the futuristic complex City of Arts and Sciences by the renowned architect Santiago Calatrava, which attracts millions of visitors a year http://www.cac.es/es/home.html The complex is located at the end of the Turia Garden, a nine-kilometer-long park, built on the old Turia River bed. The location by the sea, fertile land and rich cultural history offer unprecedented opportunities to delight the heart and stomach. Valencia is a paradise for any lover of good food and drink. Cozy and quaint restaurants in the district of El Carmen, renowned restaurants in the center of the city and romantic bars on the beach offer excellent tapas and, above all, the most delicious paella in the world. Being located on the seashore, Valencia offers fantastic possibilities for practicing any sport. It is also ideal for enjoying a night life, along with a wide cultural offer. In recent years Valencia has acquired an additional role at the international level. Important cultural events have contributed to this. Especially Las Fallas, parties of light and fire that will impress the one that passes by the city coinciding with the festivities during the month of March. Get lost in the streets of El Carmen, visit the Central Market in Valencia full of smells and life, eat a paella in a restaurant in the historic center, feel the echo of the golden age in La Lonja de la Seda, rest in El Garden of the Turia, travel on time to the City of Arts and Sciences, stroll along the beach and dine with views of the sea. All this is Valencia. As José Padilla Sánchez sings "Valencia is the land of flowers of light and love ..."